VMware and Microsoft are increasingly at each other’s throat these days, and that can mean only one thing — each company sees the other as a real threat when it comes to competing in the server virtualization and private cloud computing markets. VMware has long dominated the server virtualization technology market, and even though the second iteration of Microsoft’s Hyper-V hypervisor is much better than the first one, VMware still looks like top dog. So while the company has had to suffer the constant sniping of Microsoft, including Microsoft’s risible attempts to ridicule “VM Limited” with its Tad Talks videos, VMware has been content to rise above it all and simply say nothing to this point. But with Windows Server 2012 and the third iteration of Hyper-V just over the horizon, things are changing. 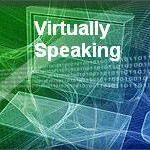 Virtually Speaking – RoundedAt Microsoft’s TechEd in San Francisco this week, Jeff Woolsey, the company’s server virtualization head honcho, boasted that the new Hyper-V will be formidable. Sooner or later it was inevitable that VMware would stop ignoring Microsoft and fight back (just as it was inevitable that Microsoft would eventually stop ignoring Apple and fight back in that arena). 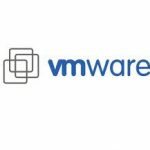 That’s because VMware’s platform is generally perceived to be much more expensive than Microsoft’s, and once Hyper-V 3 is available there will be fewer and fewer reasons to pay the VMware “tax”.